Successfully Added Heating Knife - 75-Degrees Celsius, Melting, Warming, Cutting, Premium Quality, 100% Food-Safe, IPX4 Waterproof, 2600mAh Battery to your Shopping Cart. 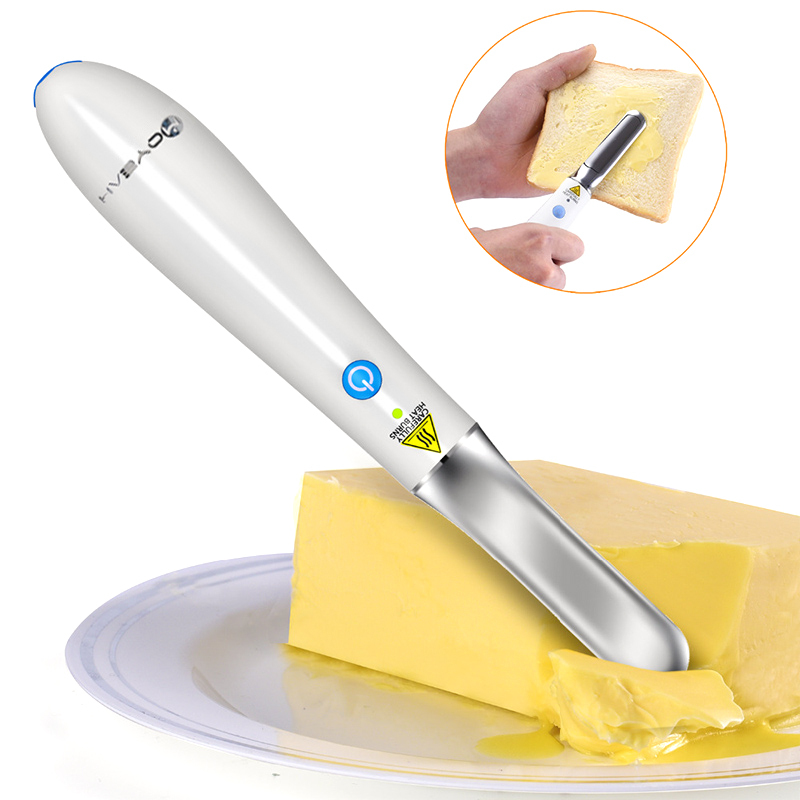 With this heating knife, you’ll be able to easily cut cheese and spread butter. Never again will you have difficulties trying to cut through a hard piece of butter and spreading it on your bread. This kitchen appliance is a great asset to the cutlery set of any modern household. It brings along great efficiency and lets you cut cheese, butter, and other food with great ease. Capable of melting, warming, and cutting – this heated knife truly is a multifunctional device. This cheese and butter knife comes with a 2600mAh battery which brings along 1 hour of continuous usage time. With all this juice, you’ll have enough power to get through family dinners, lunches, and breakfasts without needing to worry about recharging your heating knife. This knife has been crafted out of 100% food-safe material. Its blade has been made out of zinc alloy while its handle consists out of durable ABS material. Thanks to this, you’ll be able to use it without worrying about potential health hazards as this heated knife is a 100% safe to use. It is capable of warming itself up rapidly to 75-Degree Celsius due to which you’ll be able to start cutting cheese and spreading butter instantly. Thanks to its IPX4 splash-proof design, you don’t have to be afraid of it getting wet. You will be able to easily clean it with water without needing to worry about breaking your newly acquired kitchen appliance. This heated knife comes with a 12 months warranty, brought to you by the leader in electronic devices as well as wholesale electronic gadgets..